Last week I got a fun custom order for some cat hats! Yes cat hats! Call me crazy but I like a challenge! 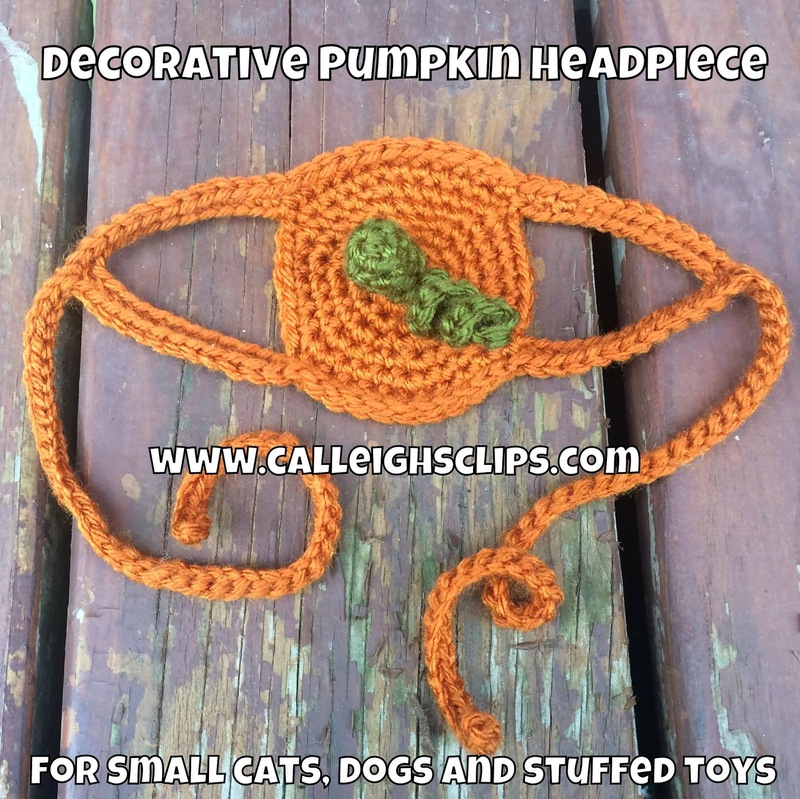 Usually I leave the animal design to my awesome, super talented mom over at Posh Pooch Designs but this person found me first through my devil headband and cape set on Etsy and wanted something similar for her cat. She gave me some measurements and I went from there freestyle. I made her a devil and unicorn headpiece. Aren't they so silly, but so cute! I'm allergic to cats so my kids shared their stuffed babies to model them for you. LOL! 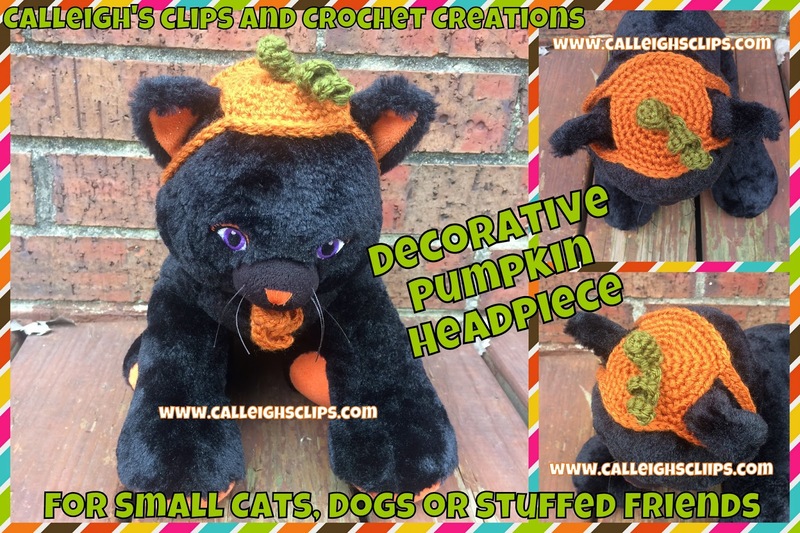 I decided since it's just about fall that a pumpkin headpiece would be just right! I may design a few more seasonally but we'll see. *Chain stitch does not count in stitch count! *The number at the end of each row is the stitch count for the row (#). Piece should measure approx 2 1/2 inches across. sl st in remaining sts to 1st sc, Fasten off and weave in ends. Fasten off but leave a long tail. Sew stem to center of hat or as desired. 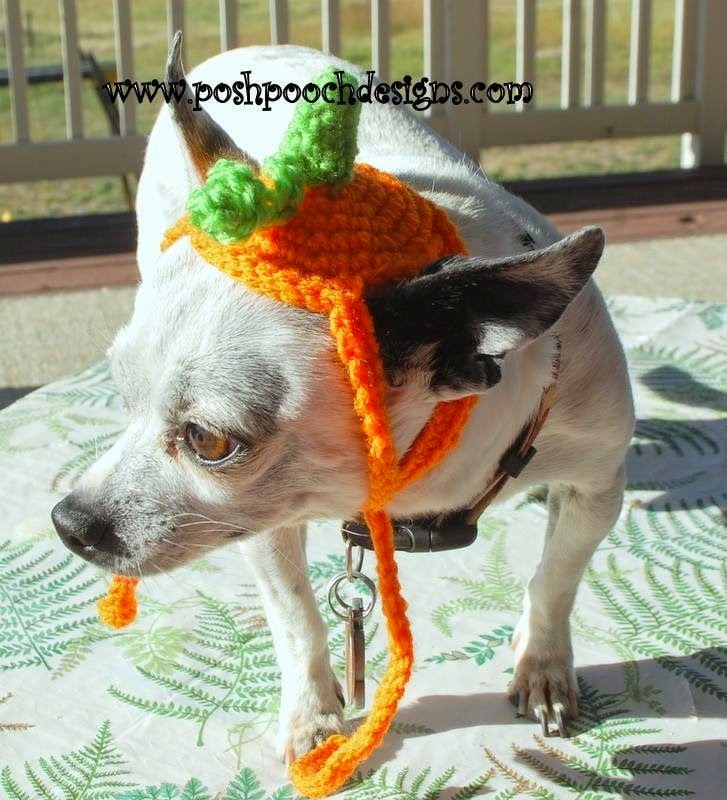 Image used with permission from Posh Pooch Designs. She tested it for me! Modeled by Max. Aww not that is just too cute. I will have to work one up and see what my pom thinks. Thanks for the free pattern. how do I increase for larger dogs...thanks...love the patterns! In short, continue to make the circle bigger until it the size between your dogs ears and then add the ear straps evenly spaced apart. Go to printfriendly.com and paste the url for this page in their bar. You can also edit out what you don't want. Then save or print it out. Perfect for my Yorkie poodle. It's very funny to see it on his head haha. Glad you enjoyed making and using it! I love this pattern but I don't understand this: (2 sc, sc 2). Could someone help me? Work 2 sc in the same stitch, then work one sc in the next 2 stitches. 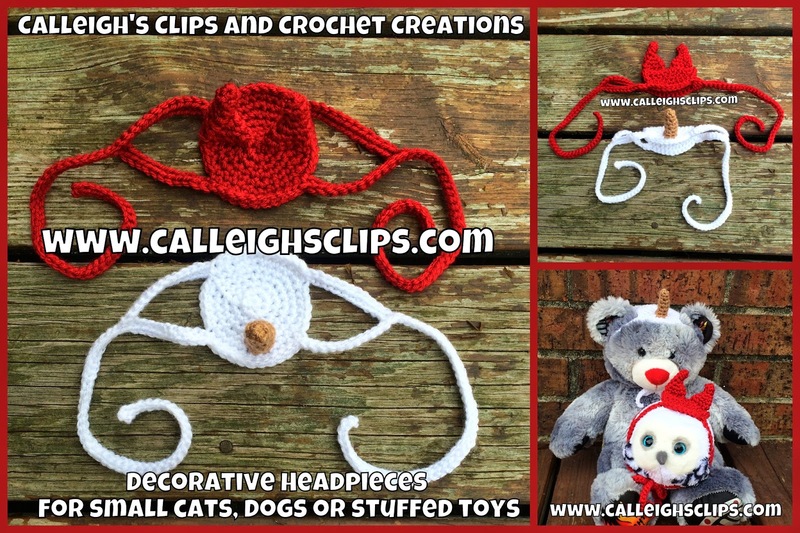 Freebie pattern for one day only!! What will you choose for free?